The visual acuity test is the best way to show the status of eye. 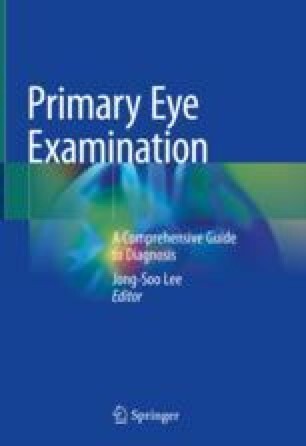 It includes uncorrected and corrected visual acuity, distant and near visual acuity, binocular and monocular visual acuity, decimal and fractional visual acuity, visual acuity measured with one and parallel object, logMAR (minimal angle of resolution) visual acuity, and central and out-of-central visual acuity. In general, visual acuity is the central visual acuity when viewed from the foveola. The visual acuity in ophthalmology refers to the corrected visual acuity which is the corrected visual acuity measured by refraction. If the uncorrected visual acuity is poor and the corrected visual acuity is good, the refractive error should be considered. If the corrected visual acuity is bad, a pathology from the eye to the central nervous system should be considered. The appropriate visual acuity test should be selected and recorded according to the subject and purpose. If the patient has the history of using contact lenses, cataract surgery, or LASIK surgery, record them on your visual acuity chart.